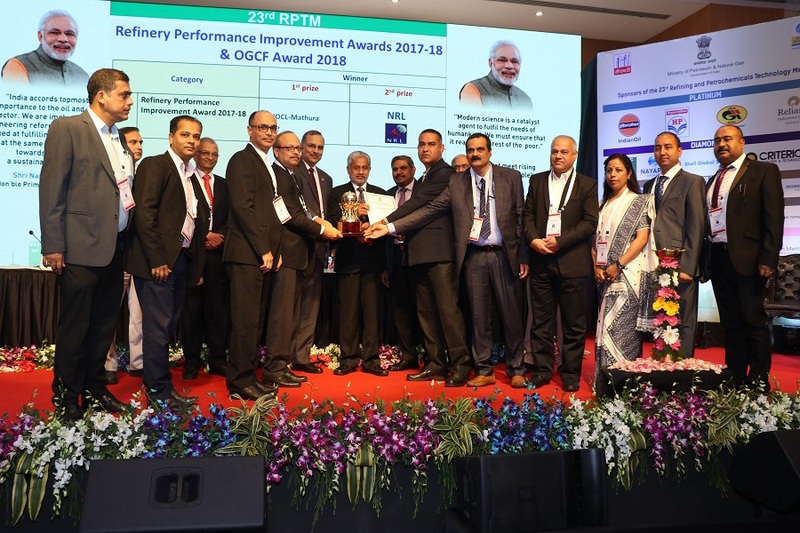 Numaligarh Refinery Limited (NRL) has been adjudged second among Indian refineries at the ‘Refinery Performance Improvement Awards’ for the year 2017-18, a press communique issued by Priyanka Hazarika, Assistant Manager, Corporate Communications, NRL stated. The award was presented by MM Kutty, Secretary, Ministry of Petroleum & Natural Gas (MoP&NG), Government of India to Team NRL. Team NRL was led by Director (Technical)- NRL BJ Phukan at the inaugural function of the 23rd Refining and Petrochemicals Technology Meet (RPTM) held in Mumbai recently. Instituted by MoP&NG, the award recognises the best in performance under six key parameters viz., Crude Throughput, Specific Energy Consumption, Specific Steam Consumption, Carbon Emission Intensity, Operating Cost and Specific Water Consumption. The companies selected for this prestigious award go through a rigorous test of competence and is selected by a committee constituted by MoP&NG.